Three in four millennial dads are resentful that advertisers and marketers are out of touch with them and their contributions to family life, according to the "Making Dads Present" study by Saatchi & Saatchi New York. 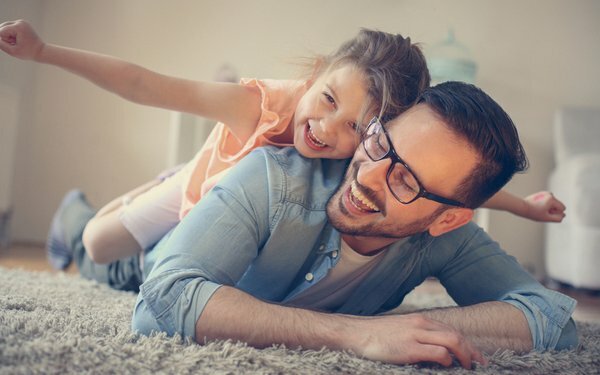 Even though gender and family dynamics are evolving, advertisers continue to ignore how dads have become much more “present” and engaged parents in the household, says the report. For one, dads have a sense of humor if they forget to pack school lunches. Most ads portray them as idiots, yet 78% of millennial dads claim they have a sense of humor about their failures. Advertisers would be well advised to find the humor in imperfection versus incompetence, says Saatchi. A majority of dads (84%) say they are confident with their parenting abilities, and 80% of dads believe that their way of doing things is just as good as mom’s way. Most (85%) believe they know more than people give them credit for. According to Saatchi, this means advertisers need to make dad a main character. "Show the world he’s engaged, involved and often in the know," says Saatchi. Although mommy bloggers get all the attention, millennial dads have built a vibrant and supportive community online. Some 28% of dad time online is spent on dad-dedicated stuff, and 60% of dads claim they have become better dads thanks to learnings and conversations on social media. Further, dads are more likely than moms to consider themselves first adopters of technology (32% vs. 22%). Hence, Saatchi recommends marketers ensure dads are part of the online conversation and tap into dad-specific channels. Above all, advertisers should not shy away from dadhood when targeting men. Nearly nine in 10 (87%) say being a dad is the most important thing they have ever done, and 80% agree that a real man is a man who is comfortable talking about how he feels. Being a dad defines them and they like to proudly exhibit it, says Saatchi. Advertisers need to do a better job of reflecting these attitudes. The study queried 1,100 American dads ages 25-40 across income, ethnicities, and regions. 3 comments about "Millennial Dads Say Advertisers Just Don't Get Them". Michael Margolies from Michael Margolies Photography & Design, August 16, 2017 at 3:57 p.m. Although the writer keeps repeating millenial dads the study actually covered dads across several gnerational groups. The article works just as well without the key wording and in fact I'm sure most dads including me are tired fo the idiot as dad stereotypes or the need of advertisers to tear down men to prop up women. WOmen are strong on thier won and strong confident women tend to be married to strong confident men, not idiots. Larissa Faw from Mediapost, August 16, 2017 at 5:29 p.m.
Actually the study only spoke to men ages 25-40 which, by every definition, is the Millennial generation. Ed Papazian from Media Dynamics Inc, August 16, 2017 at 8:22 p.m. When asked vauge and impressionistic questions about advertisers or advertising it's a given that most people of any age will respond with various criticisms. This is hardly a new or an earth shaking finding. What matters to most advertisers is not the general and highly predictable antipathy towards ads in general but how their consumer targets are respondeing to their specific product positioning stories.